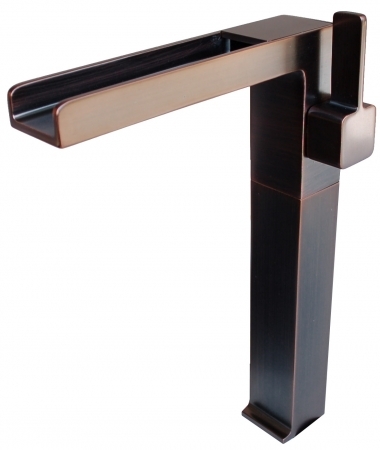 Turn your bathroom vanity area into a miniature spa with this cascada waterfall faucet designed for use with a vessel sink. 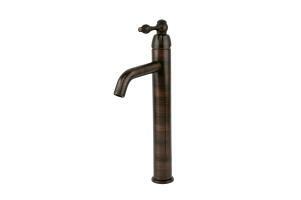 The tall structure of the fixture will work with many sinks and the open spigot delivers a cascade of water fall to the vessel below. 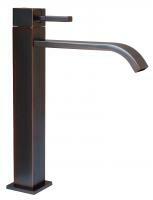 The oil rubbed bronze finish tops the fixture with a sleek and modern look.